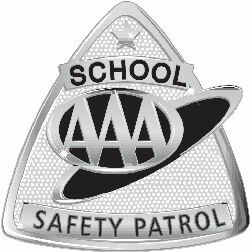 AAA School Safety Patrol members are school-sponsored student volunteers from upper elementary grades, middle and junior high schools. Patrollers direct children, not traffic. As school-age leaders in traffic safety, patrol members teach other students about traffic safety on a peer-to-peer basis. They also serve as examples for younger children, who look up to them. 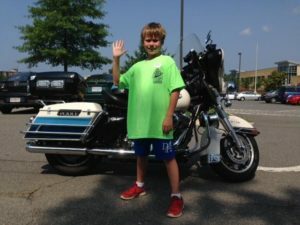 This summer the Arlington County Police Department will provide a five day Safety Patrol Camp for Arlington County students in the 4th through 5th grade. Safety Patrol Camp is for those students who would like to be Safety Patrols for the upcoming school year. Children attending this camp will receive instruction on their patrol responsibilities.This year’s program will be held at Campbell Elementary School located at 737 South Carlin Springs Road, Arlington, Virginia 22204. The camps will be supervised by Arlington County Police Officers. Due to budget limitations, we will only be providing drinks and snacks. Participants are responsible for bringing their own lunch during the camp sessions. Transportation will be the responsibility of the parents or guardians. Campers are expected to participate in all camp activities, including some strenuous physical exercise and sporting events.The children need to report to their location by 8:00 A.M. and be picked-up by 2:30 P.M. each day. Your child may only attend one session of Safety Patrol Camp.